First Piano Nursery Rhymes has just been released on Android and iOS! Children can play their favourite Nursery Rhymes easily, just by following the keyboard highlights. There is also a Free Play mode for exploring the 11 different sounds and making up their own melodies! 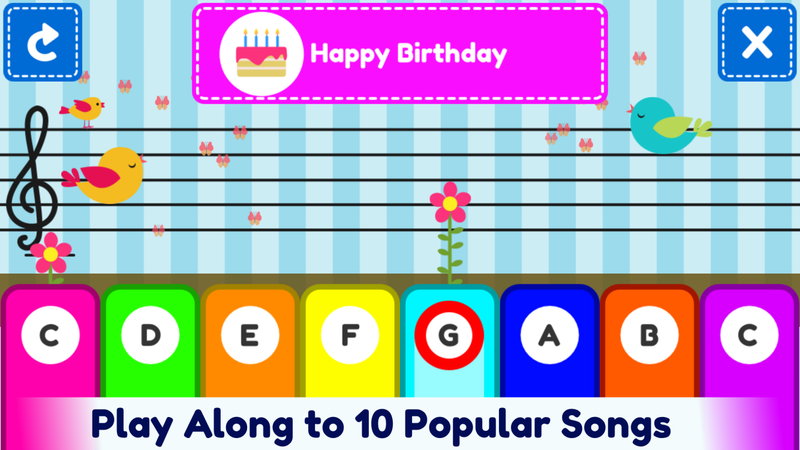 •Play along to ten popular children’s songs. •An excellent introduction to the piano keyboard and notes. •Great fun and perfect for growing their love of music!